Freedom to sleep without a mask. Inspire therapy is an innovative treatment option for people with moderate-to-severe Obstructive Sleep Apnea who are unable to use or get consistent benefit from CPAP. Inspire therapy works inside your body with your natural breathing process to treat obstructive sleep apnea. It continuously monitors your breathing patterns while you sleep. Based on your unique breathing patterns, the system delivers mild stimulation to key airway muscles which keeps the airway open while you sleep. 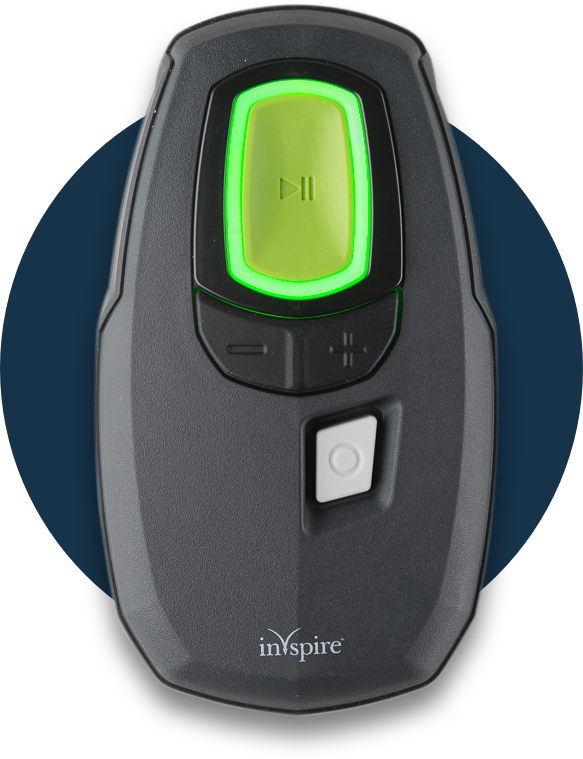 Inspire therapy was FDA approved in 2014. It has been proven both safe and effective in multiple long-term studies. The Inspire obstructive sleep apnea device significantly reduces snoring and daytime sleepiness. To see if Inspire might be right for you. There are free educational events throughout the country to help you learn more about Inspire. Click here to find an event near you.